A fairly accurate statement would be “Lyubov Orlova was doomed from the start”. Her saga began in 1976. Cruise ship vacations gaining popularity – Russian interests built a modestly sized, lavish little ship, a ship destined for Arctic tourism; well healed Russians would surely jump at the chance to spend a week on ice. Built in Yugoslavia for Russian “Far East Shipping Company”; she was registered in the Soviet Union until 1992, from 1992 – 1999 – Russian registry, and finally from 1999 – 2013 in the Cook Islands. Refurbished in 1999 for Antarctic treks courtesy charters by Marine Expeditions, spruced up again in 2002 for charters under Quark Expeditions and Cruise North Charters. In 2006 she ran aground at Deception Island in Antarctica; towed free and capable of making her own way, thank you very much Spanish navy – it was September 2010 before she was noticed again. A point everyone seems to agree on – Canadian authorities seized her in St. Johns Newfoundland for monies owed to Cruise North over cancelled charters, and wages (now 5 months owed to a crew of 51) – an amount of US $251,000 in total. She’s been sitting derelict for 2 years in St. Johns, Transport Canada sells her for scrap,Neptune International Shipping makes the buy and hires a tug to tow her to the Dominican Republic. A day out of port, in strong winds and high seas – the line breaks. Rough seas thwart attempts by the tug boat crew to reattach the tow – the date was January 28, 2013. Canada assigns recovery to a supply vessel in the area – concerned about a possible collision with off shore oil rigs. Mission accomplished within a few days, oil rigs safe, and chugging for international waters. Here’s where it gets tricky – pay attention because this is the moment responsible for internet hysteria over a Russian ghost ship populated by disease ridden cannibalistic rats poised to slam into the coast of Ireland. Clear of oil rigs, bobbing along in international waters – Transport Canada makes the decision to cut her loose. February 4, 2013; drifting north-east in international waters; Canada wipes its hands of Lyubov Orlova – taking the position her new owner was responsible now. On March 1, 2013 reports surface of transmissions from her emergency positioning beacon – designing to transmit only when submerged – position; 700 nautical miles off the Irish coast. That was the last time so much as a whiff of evidence indicated her position. An article in today’s National Post newspaper started with the headline “Five reasons Lyubov Orlova – and its cannibal rats – are at the bottom of the Atlantic”. Good job Canada; sensible reporting, resisting a ride on the sensationalist band wagon, avoiding nonsense, maintaining integrity by being a voice of reason. Canada may have cut her adrift – one thing for certain; we didn’t pack her with rats (well maybe a few – its unavoidable) and push her towards Ireland. Bottom line – she hasn’t been seen in almost a year, its only 3000 nautical miles from St. John’s to Ireland, emergency beacon was water activated 2 months later within 700 miles. If she’s managed to put down anchor, avoid detection while allowing 10 months for rat populations to multiply to the point of cannibalism – that’s some feat. CNN lead with the headline “Apparently This Matters – A Ghost Ship With Cannibal Rats” An “Editor’s Note” preceded Jarrett Bellini’s article, advising he would apply his “warped sensibilities” to trending topics and random items of interest on the Web. Listen carefully Jarrett – I’m not saying this because you made fun of Canada, I’m saying this because you need to stop relying on that dog eared, soft cover “Satire for Dummies” school of journalism. You had an opportunity to fondle “cannibal rats infest Russian ghost ship” and your tiny little head thought this would be the knee slapper…. “Eventually, another Canadian ship was sent out to corral the wayward vessel in what can only be described as the slowest, crappiest, worst-attended rodeo of all time. But once captured, the Lyubov Orlova was safely hauled farther out to sea, away from Canadian oil rigs. And then they just sort of cut it loose in international waters. Because, hey, what’s the worst that could happen? As for everyone else and the hundreds of diseased cannibal rats floating around the Atlantic? To his credit “warped sensibilities” and Grade 9 slapstick took a nap long enough for Jarrett (though most likely his editor) to link to National Post’s article. The New York Daily News story was awesome. 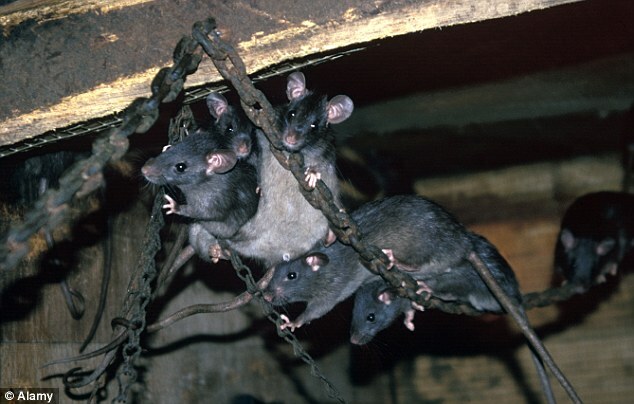 They claim the abandoned cruise ship filled with cannibal rats is headed for British shores. That ought to sell a few papers! They mention the beacons, omit they need to be submerged, and forget to report no one has seen it for almost a year. “An abandoned cruise liner teeming with inbred cannibal rats is adrift in the Atlantic Ocean and possibly about to run aground on Britain’s coastline, according to a new report. The Lyubov Orlova has been drifting east from Canadian waters since last year. Newly detected beacons off the dilapidated vessel’s rescue boats indicate it is was recently off the west coast of Scotland, raising concerns it could run ashore there, along the west coast of Ireland or the southern tip of England, according to The Sun. Salvage hunters are keen to find the dilapidated 300-foot ghost ship that can carry 110 passengers because it is estimated to be worth nearly $1 million. But once aboard, the scrappers will face unimaginable horror: a demented, disease-ridden population of rats that have been feeding on each other and breeding. The Daily Mail, not content with cannibal rats – sweetened the pot with “inbreed”, then focused on the safety of salvage dudes. Holy crap. I’m so tickled I’m going to tag this post “inbreed cannibal rats”. My head hurts; pondering cannibal rats a second longer will push me over the edge.